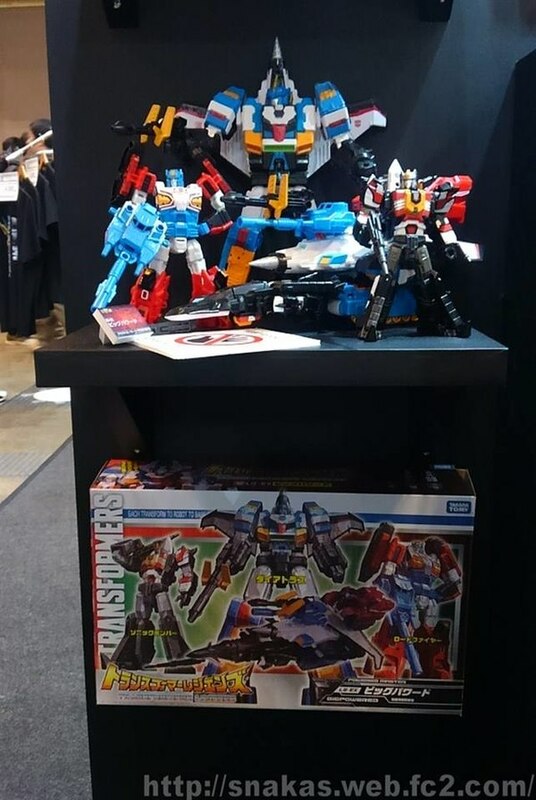 We have more from Winter Wonderfest, thanks to Autobase Aichi. 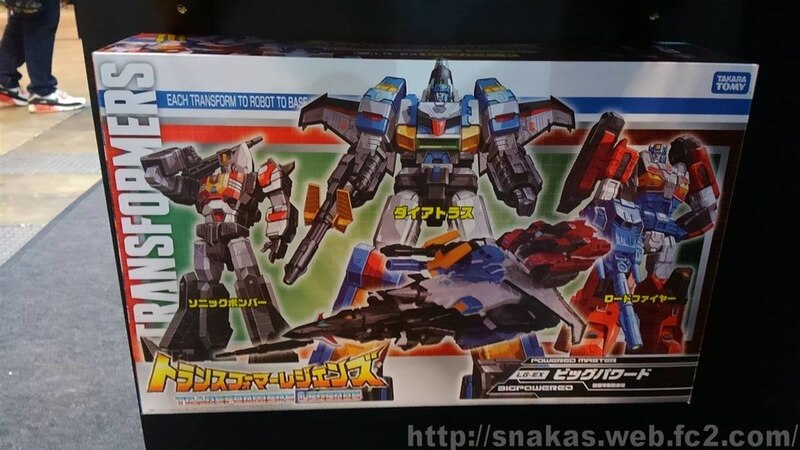 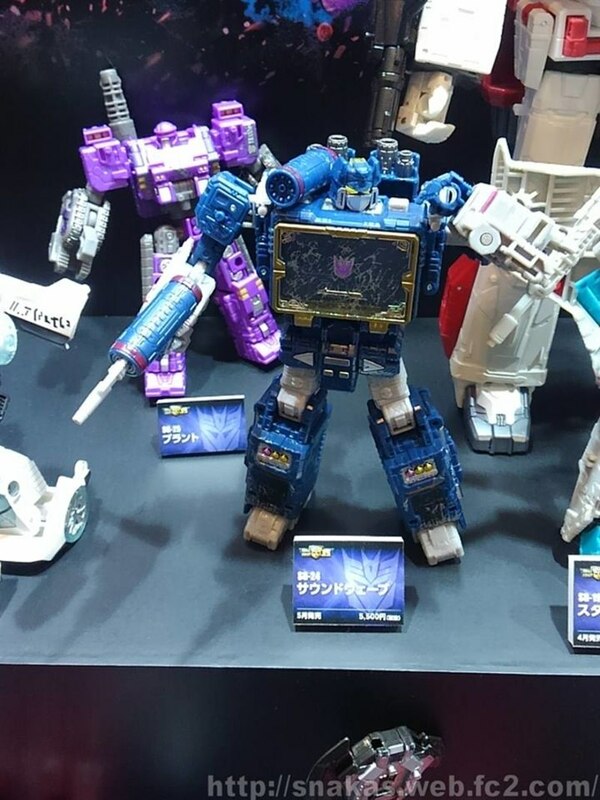 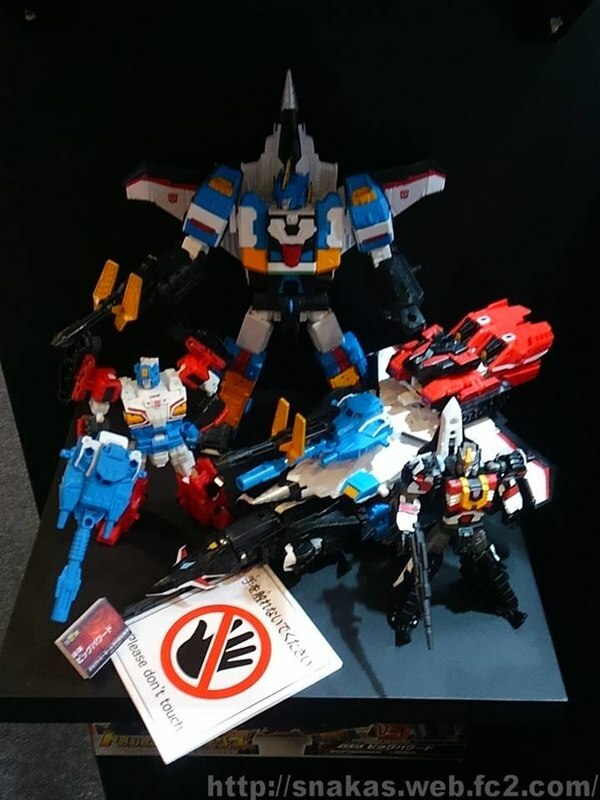 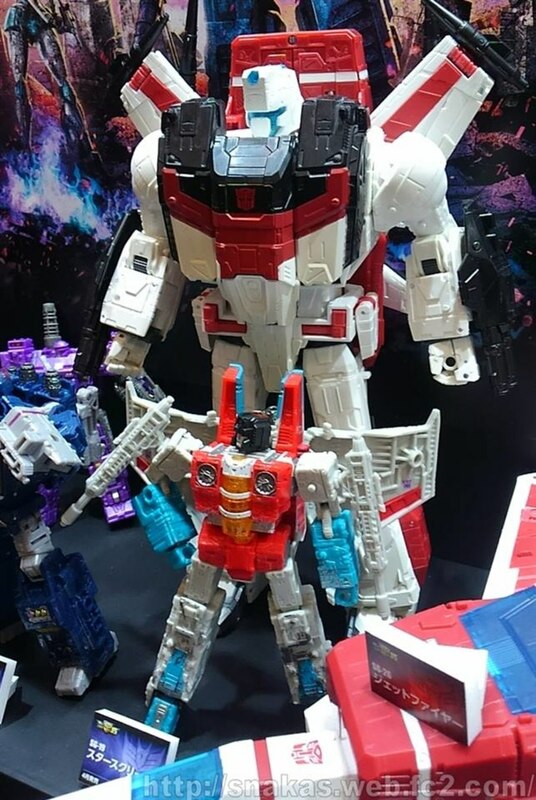 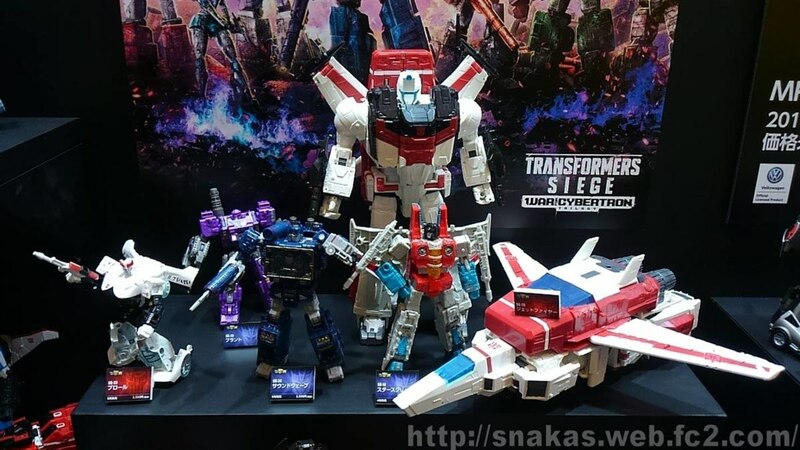 A gallery posted on Facebook has some additional coverage from the Generations area of TakaraTomy's Transformers exhibit, with some special focus on the Star Convoy and Armada Prime test shots that have caught everyone's attention this weekend. 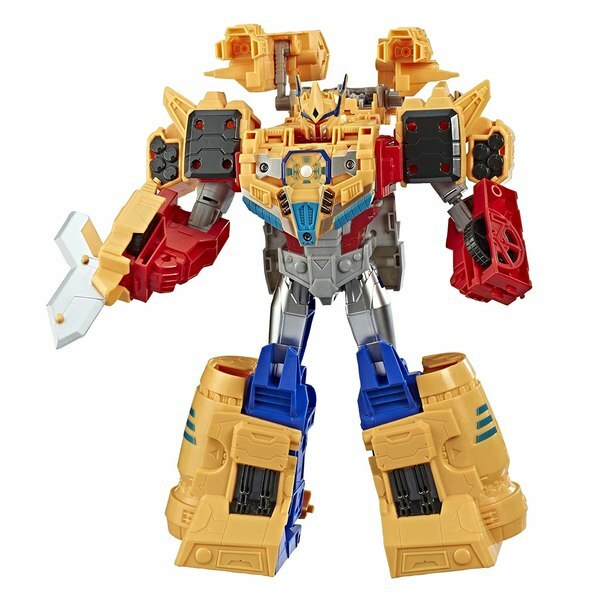 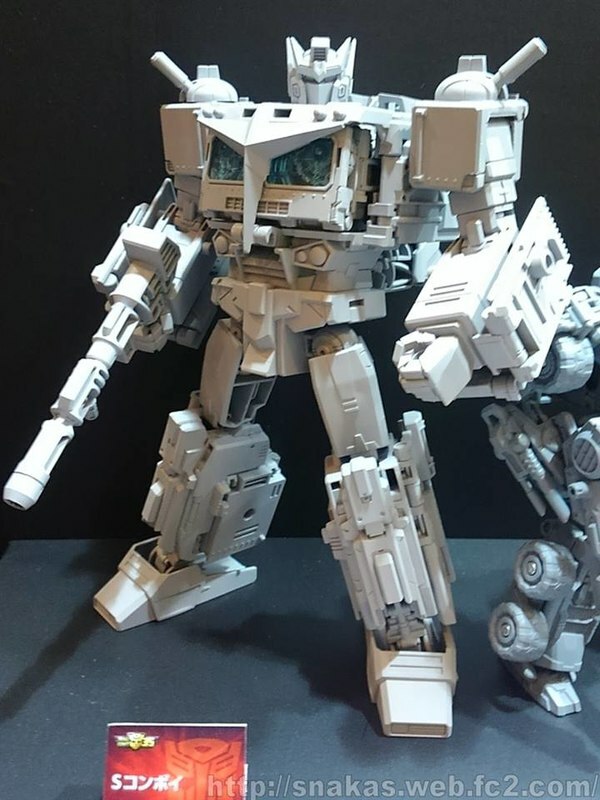 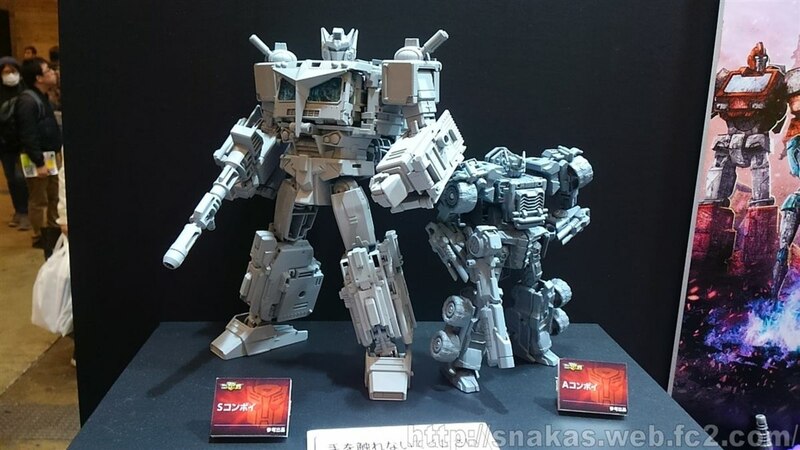 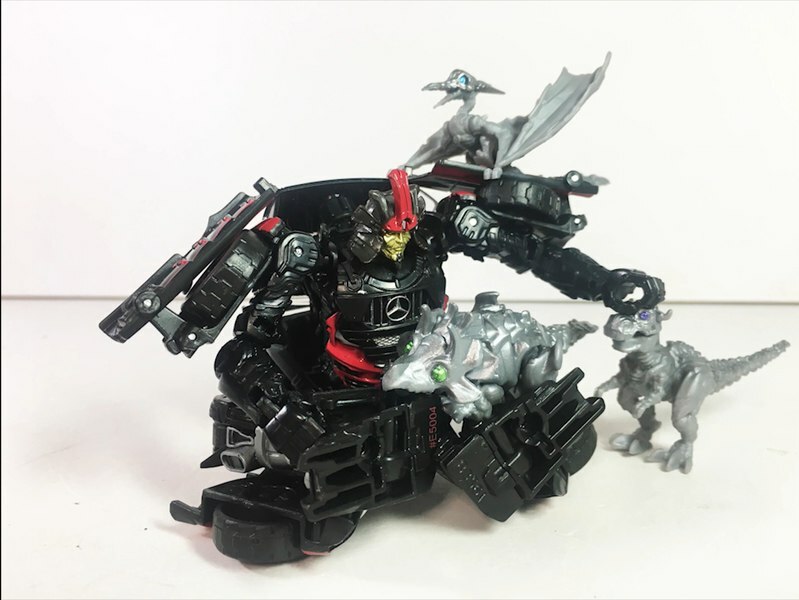 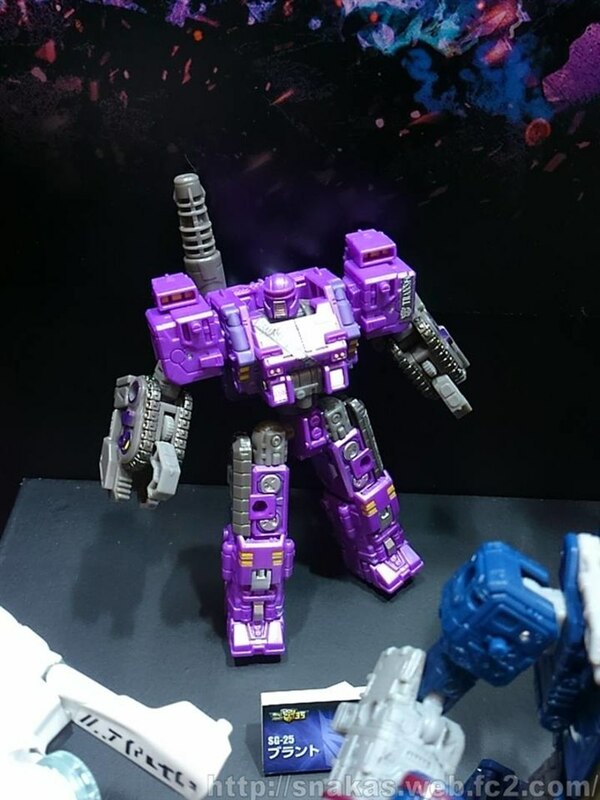 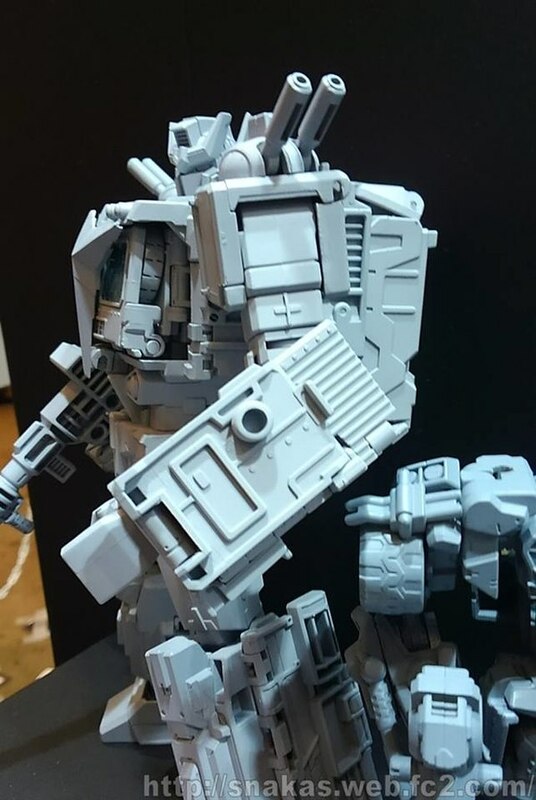 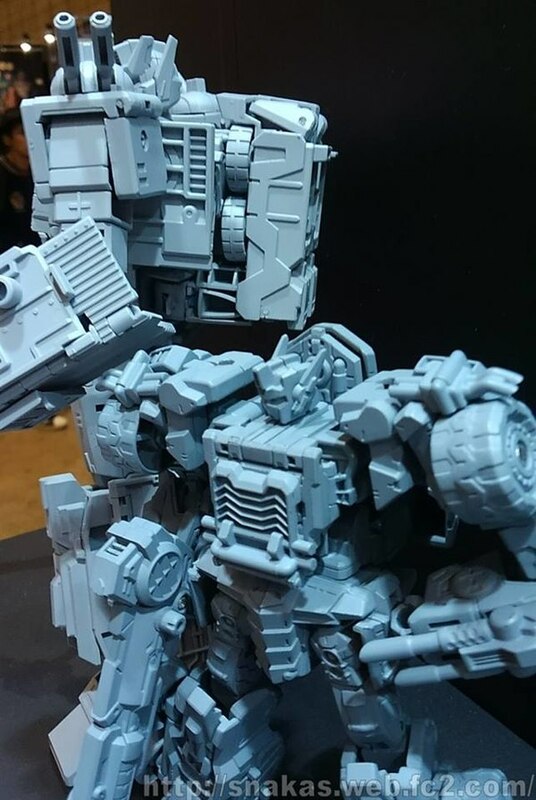 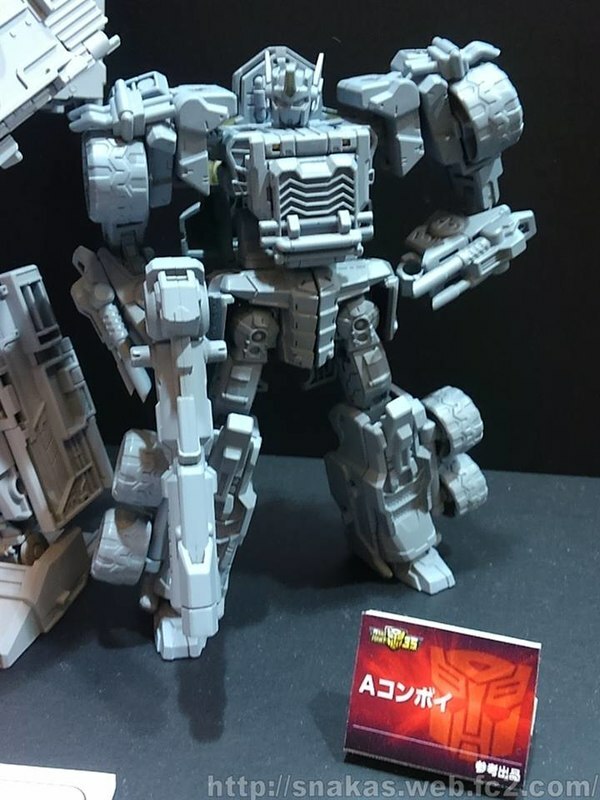 One of the new finds from these photos are Armada Prime's super mode hands, hidden away in the core robot mode's legs - just as would be expected. 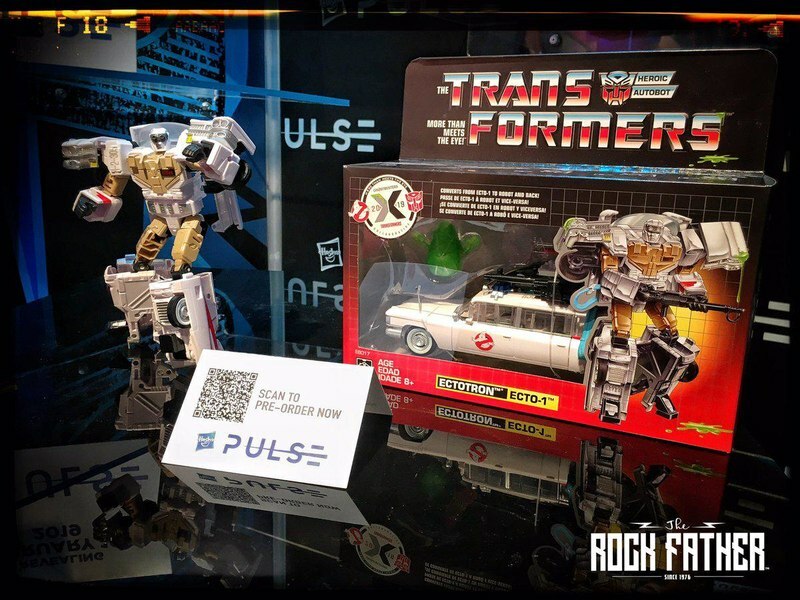 Over the last 24 hours fans have been doing a lot of detective work identifying moving parts and joints that will act in service to the super mode, and this is just one more piece of the puzzle filled in. 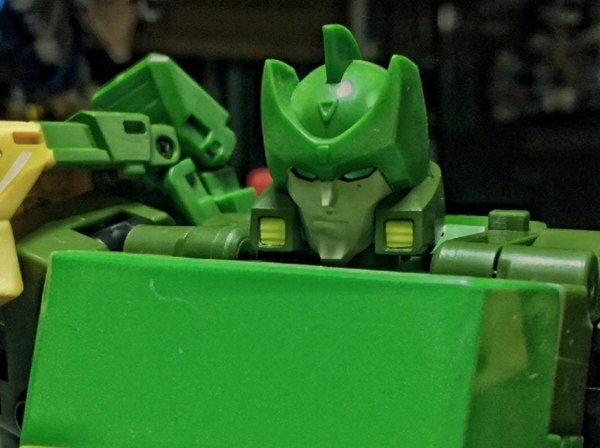 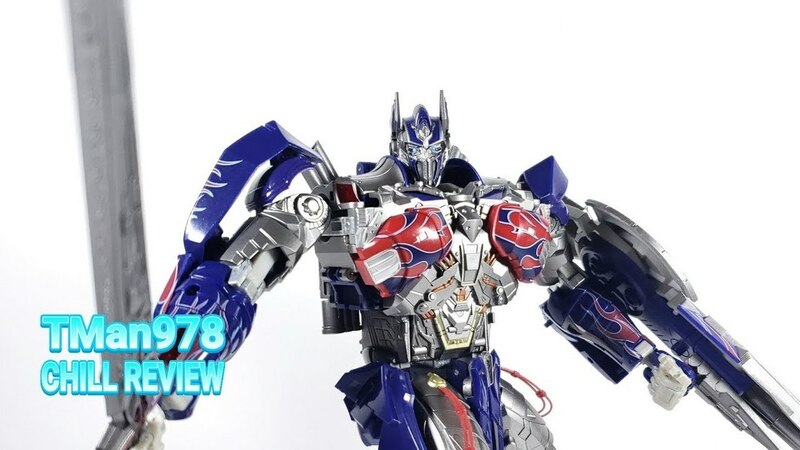 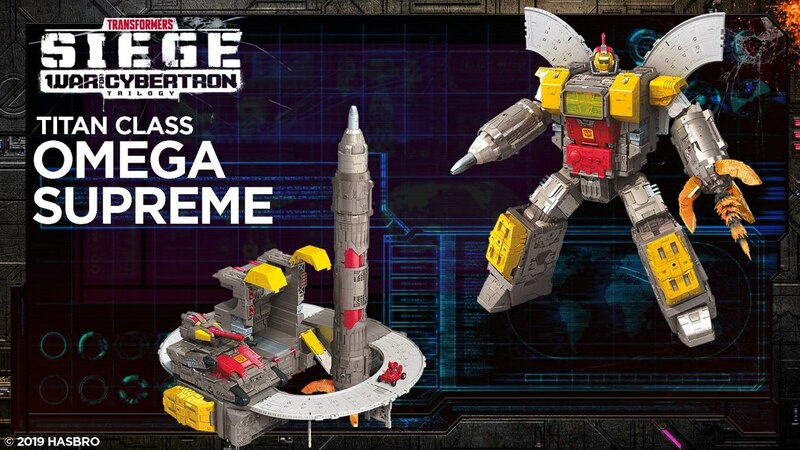 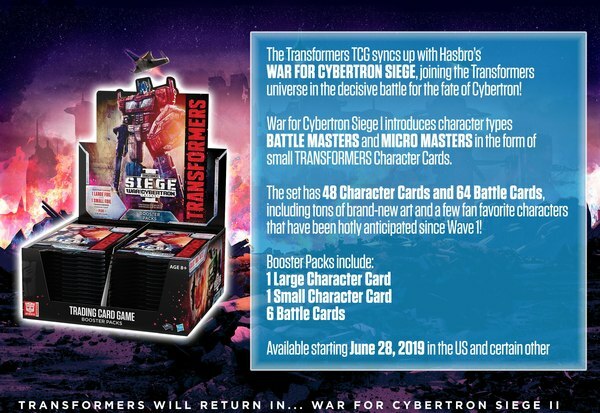 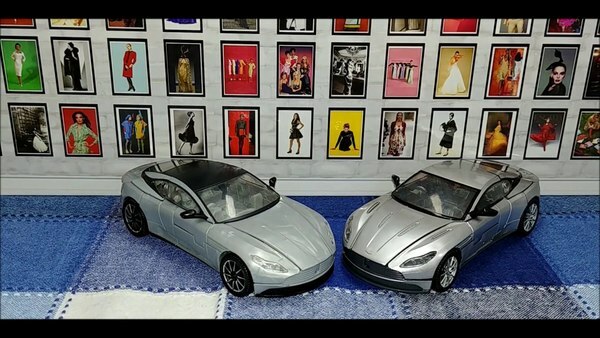 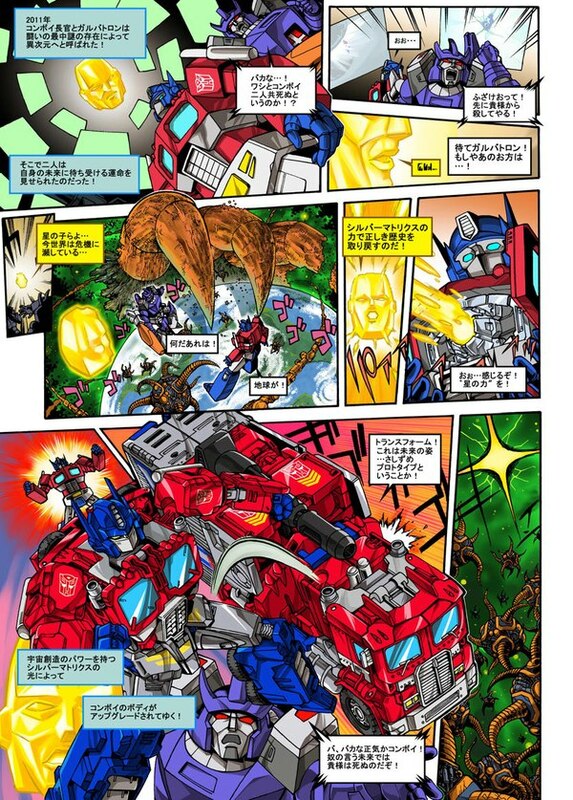 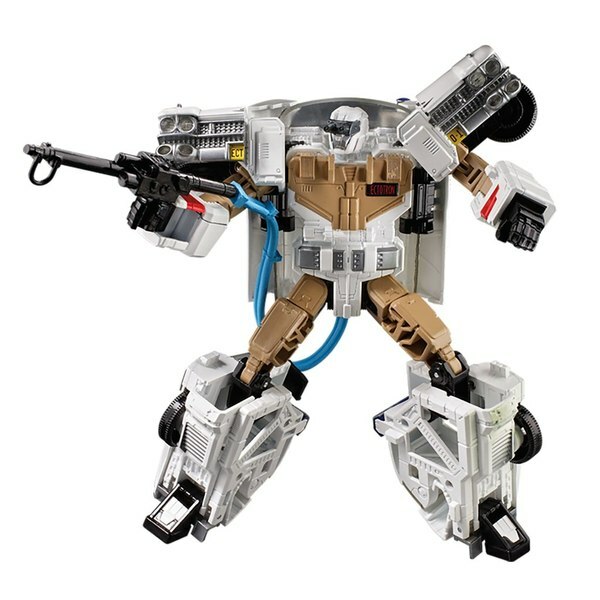 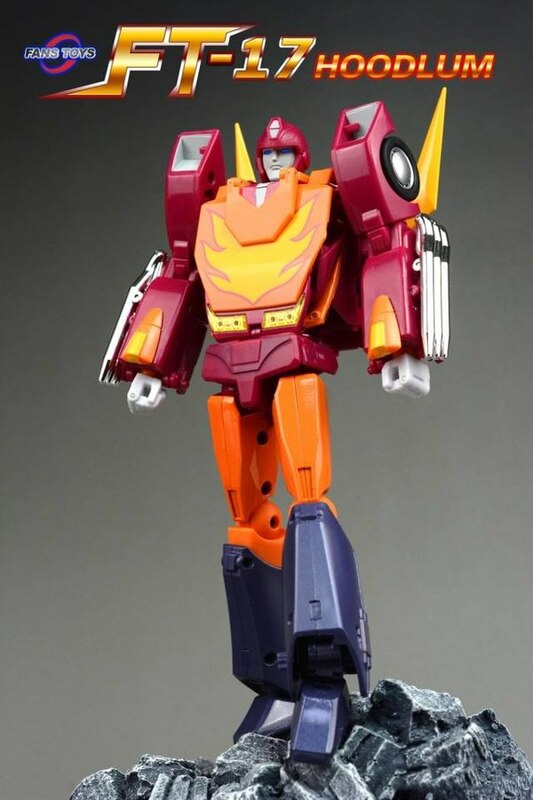 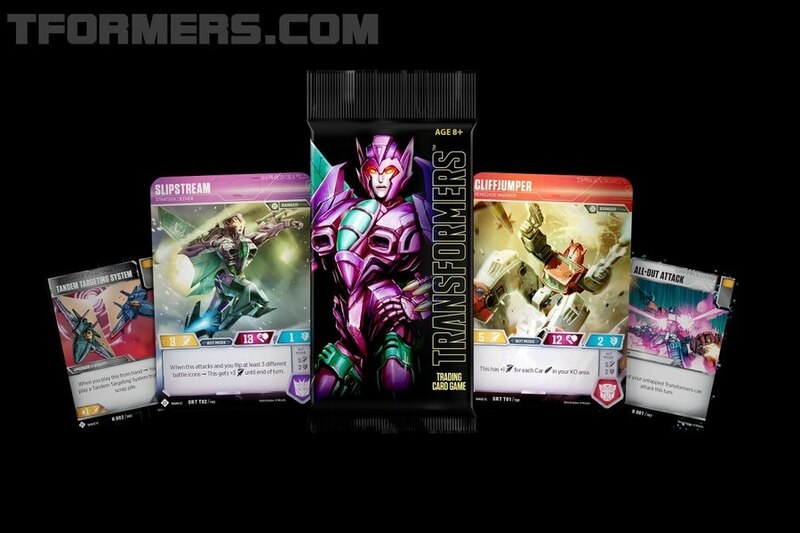 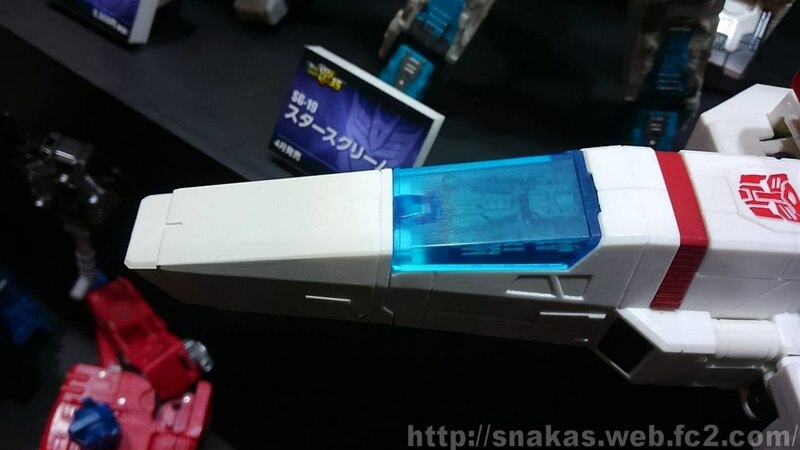 The absence of the trailer component or any direct indication of the super mode seems a bit curious, unless one considers that this will not strictly be a TakaraTomy product, but will also be carried in Hasbro markets. 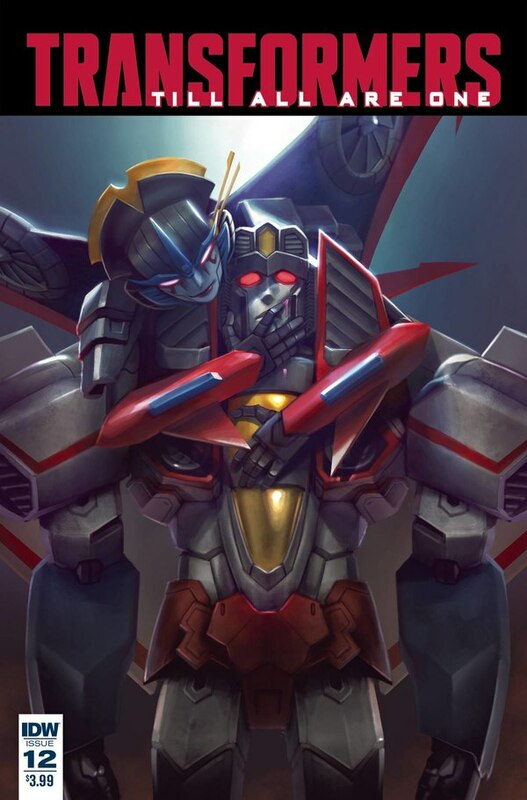 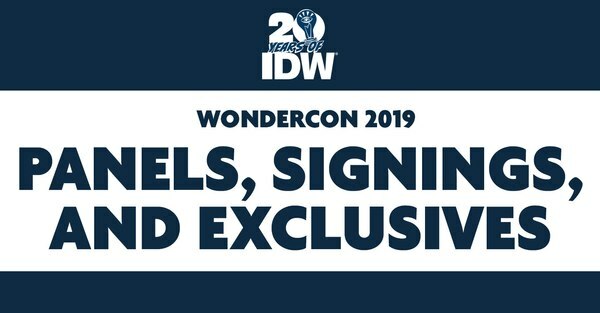 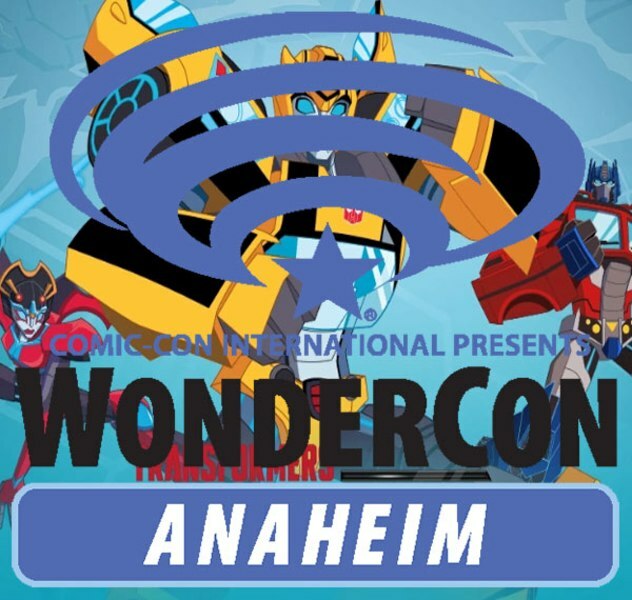 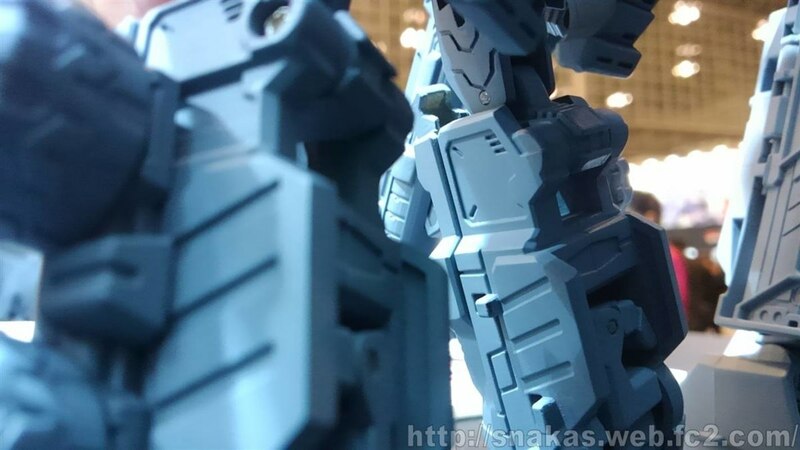 In which case the two companies may have struck an agreement to allow the main robot form to be shown here while perhaps the remaining features such as the super mode will be a Toy Fair debut next weekend? 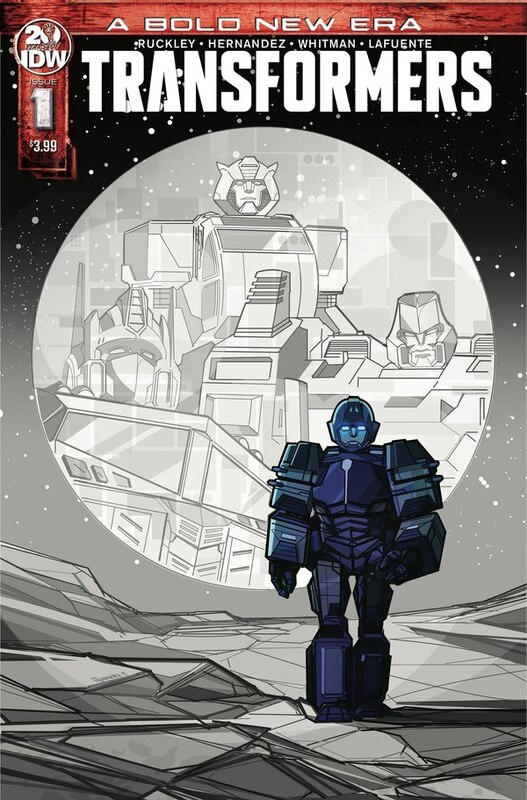 Complete speculation right now, but at least we haven't long to wait to find out! 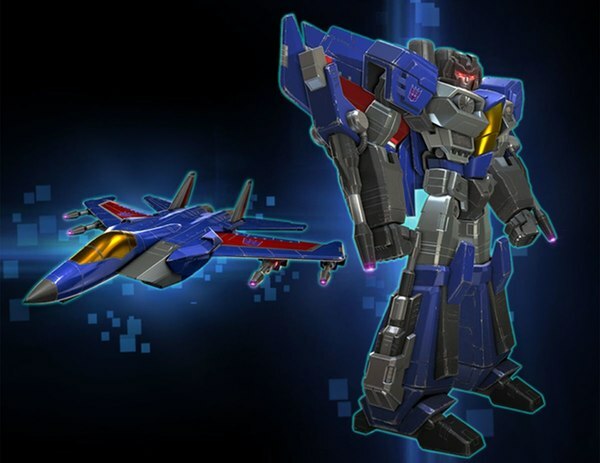 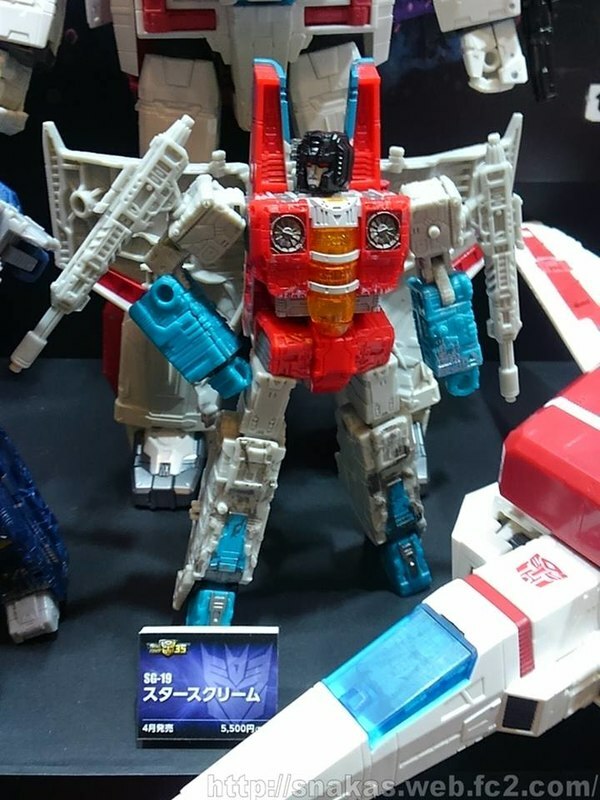 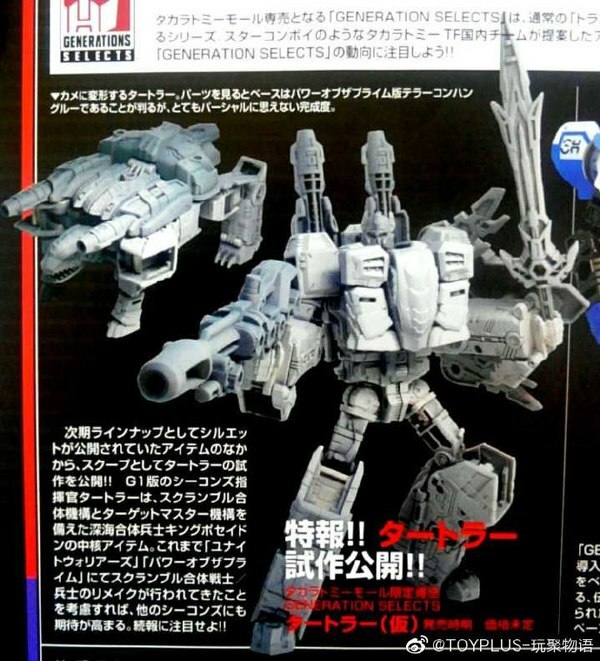 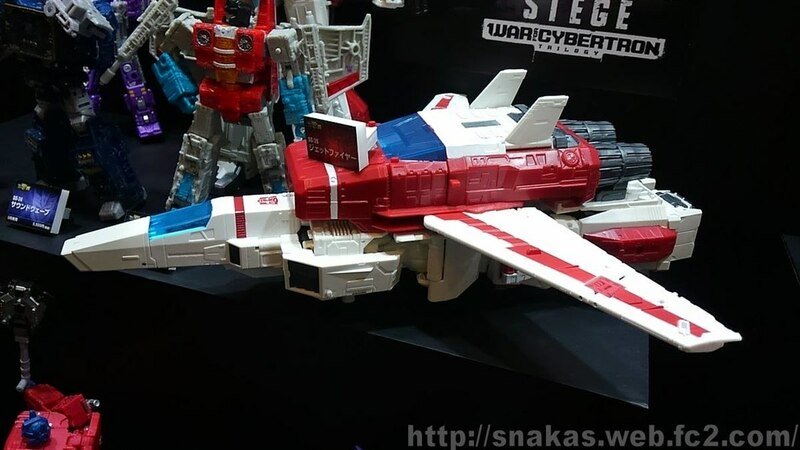 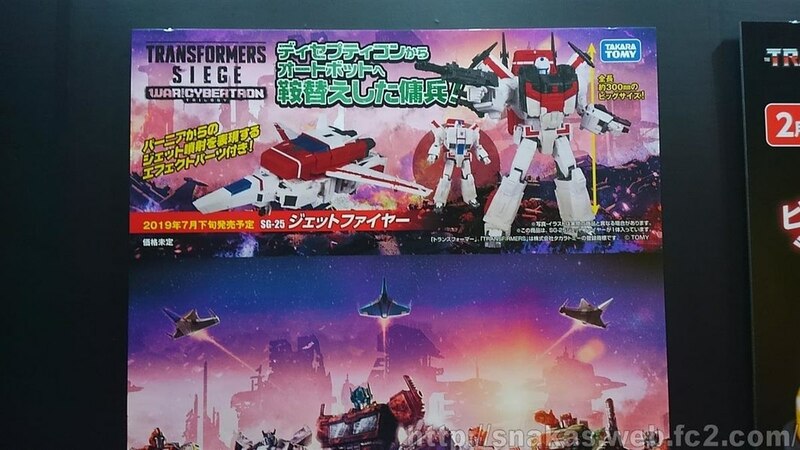 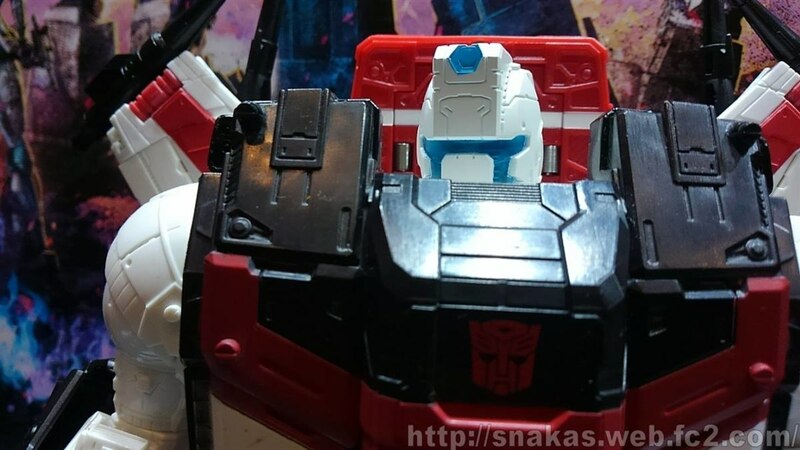 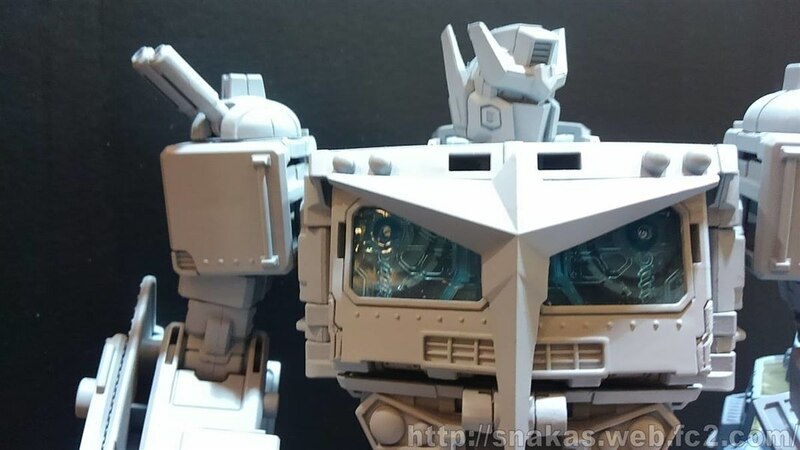 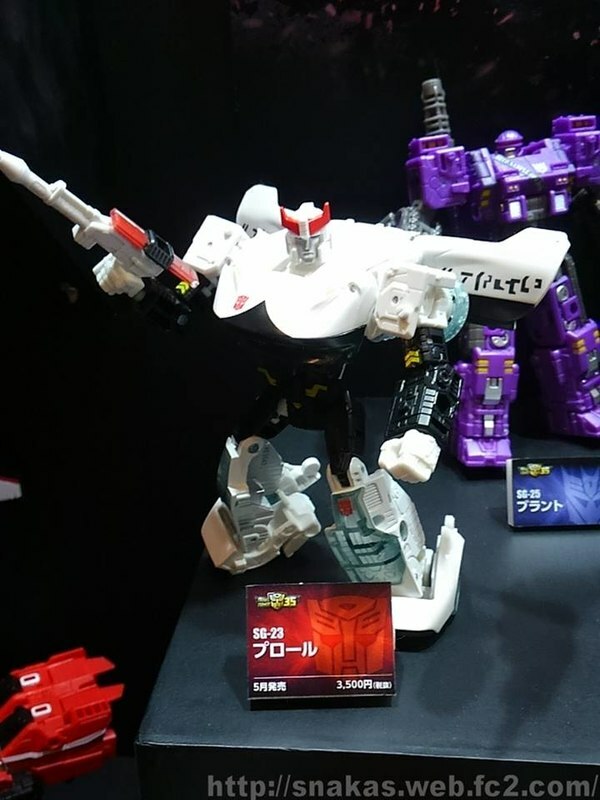 We also get some closer looks at Commander Class Jetfire, including a pretty close shot on the battle mask, and a good profile view of the vehicle mode. 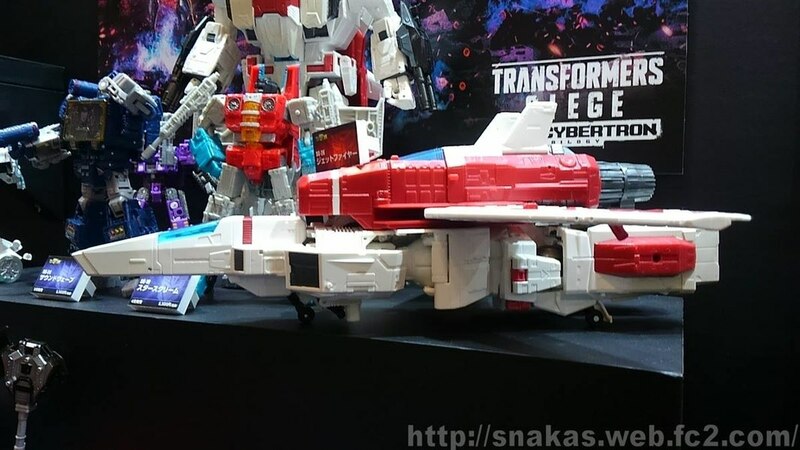 Plus of course with Starscream and Soundwave hanging out at Jetfire's feet, it's not hard to get a sense of the surprising volume of this toy. 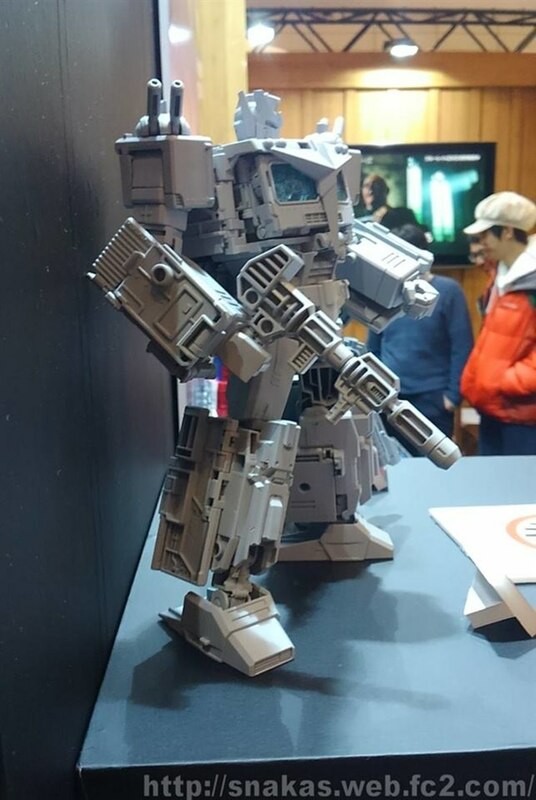 And last but of course not least, LG-EX Big Powered was on display, with a first look at the packaging for the exclusive set, which is expected to start shipping in late March.